Last month, the International Olympic Committee (IOC) Evaluation Commission visited Almaty, Kazakhstan to assess the city’s bid to host the 2022 Olympic Winter Games. The city showed well and its plans earned high accolades from evaluators and experts on the scene. 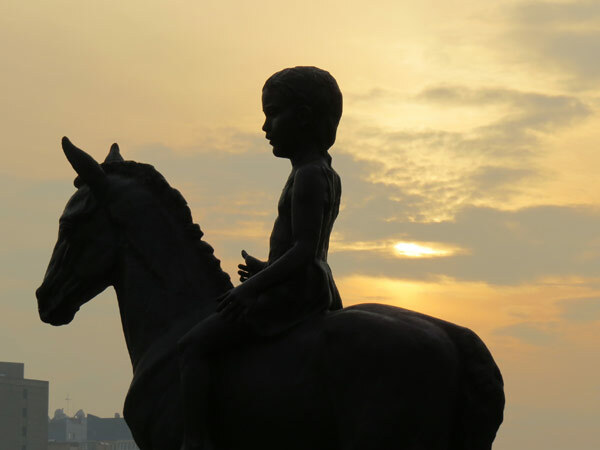 But Almaty is not well-known beyond its region – and against its experienced and formidable neighbour Beijing, the bid is seen as an uphill battle. Due to some recent bad choices and an historical culture of entitlement, the IOC and President Thomas Bach have developed Agenda 2020, a series of reforms that address accountability, change the way the organization operates and how it selects host cities. While the reforms have been quickly applied since they were approved in December 2014 – they still need to stand the test of execution. Before the reforms poor communication had caused damage to the bid process. The perception that Sochi needed to spend $51 billion to host the 2014 Olympic Winter Games – and the idea that the IOC was not doing enough to safeguard human rights in order to protect its own interests – didn’t sit well with European constituents. Prior to the Sochi Games four European cities applied to host the 2022 Winter Games, but within a year all four including Stockholm, Krakow, Lviv and Oslo had dropped out of the race due to a mix of political and economic issues. The sins of the pre-Agenda 2020 IOC already scarred the 2022 bid process by leaving only two Asian cities on the ballot. Bach refused to reopen the bid for applications under the new rules. Beijing, host of the 2008 Summer Games, reportedly entered the race as a warm-up for a future Winter Games bid believing that its chances were remote among the original applicants. 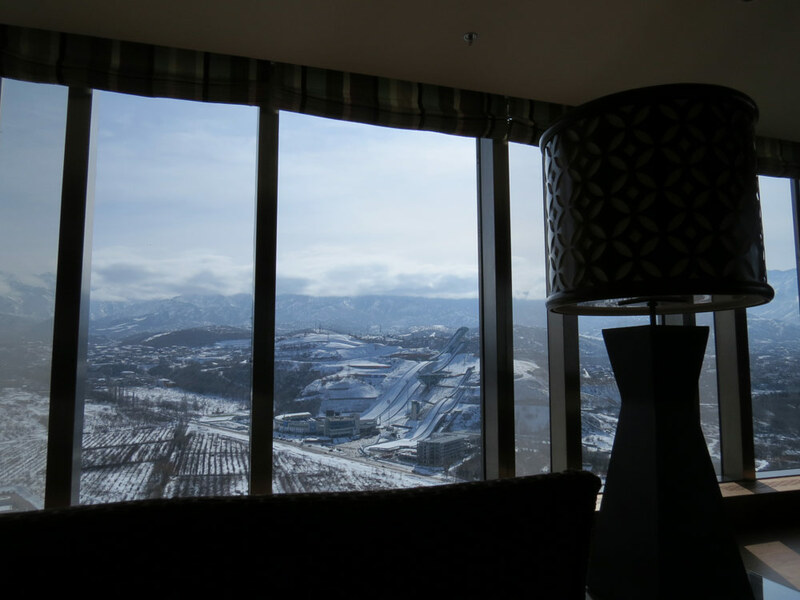 Almaty – a developing winter sport destination that failed to meet the minimum requirements when it applied to host the 2014 Winter Games – is trying to leverage its successful co-hosting of the 2011 Asian Winter Games and staging of the upcoming 2017 Winter Universiade. This choice isn’t ideal for the IOC, not only because it typically sees three to five cities vie for the hosting prize, but also because the choice guarantees that the Games will be held in Asia for the third straight time after PyeongChang in 2018 and Tokyo in 2020. The goal is to share Olympism across the world. But while Agenda 2020 can’t completely save the 2022 bid, the bid itself can test Agenda 2020. The vote for the Winter Games host city will occur at the IOC’s all- members session in Kuala Lumpur on July 31 where the Agenda will experience its first crucial reckoning. Will members apply the spirit of Agenda 2020 when they choose their host for the 2022 Winter Games? If not – Agenda 2020 fails. Almaty’s 2022 Olympic bid is a remarkable fit with the IOC’s Agenda 2020 reforms that call for bids that propose sustainable plans creating beneficial legacies that can be built at relatively low costs. As a compromise the IOC will be flexible on the venue siting – allowing for a more widespread plan in order to minimize new construction. But with Almaty, no compromise will be required. In fact bid organizers who are actively working to reduce costs by leveraging existing iconic venues and others that are already being prepared for the 2017 Winter Universiade, say that the plan is the most compact in 30 years. 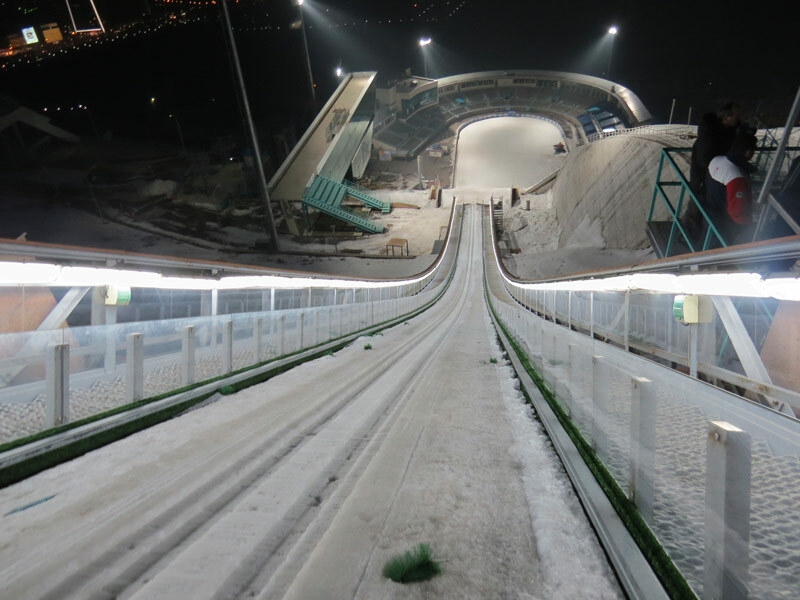 From a window on the 30th floor of the Almaty Ritz-Carlton Hotel, the Sunkar Ski Jump – one of the best venues of its kind in the world according to Evaluation Commission Chief Alexander Zhukov – is plainly visible offering a view of the events. And from the same window seven other proposed venues can be seen. Two over there, another there, a bit further back there, and then to the left – there, there and there. Then a walk to the opposite exposure and three more venues come into view. That’s all of them. That’s the plan. Nine of these will already be built. At Games time this could make a big difference. Often during past Games, traveling from the ice skating venues to the mountains for ski events could take hours from point-to-point using various kinds of transport. This could force spectators to choose only one such event in a day, due to time constraints. But in Almaty, it seems, spectators will be able to see more events in less time. While on a shuttle from the central cluster in Almaty to the Nordic ski venue in the mountains at the Ak Bulak, our group of reporters visiting the proposed Olympic venues didn’t have much time to complete our idle chat, much less get any requisite shut-eye to complement our hectic schedules, before we arrived at our destination in less than one hour. Granted, this wasn’t a Games-time journey which would have increased the traffic and added other logistical elements, but with some minor road improvements excellent travel times could be achieved. The IOC Evaluation Commission experienced similar short travel times during their visit and they were able to cover several venues in half a day. It was reported that in one day they visited five key venues in only five hours – including presentations. Coincidentally, the IOC visit occurred during the same proposed dates for the Olympic Games in 2022, and they were able to experience typical climate and snow conditions for mid-February. While a couple of days were unseasonably and pleasantly warm, snow conditions were ideal at all relevant venues – and a snowfall on the final day of the visit tied a neat bow around the complete weather experience. Will there be enough natural snow at the Games? Check! 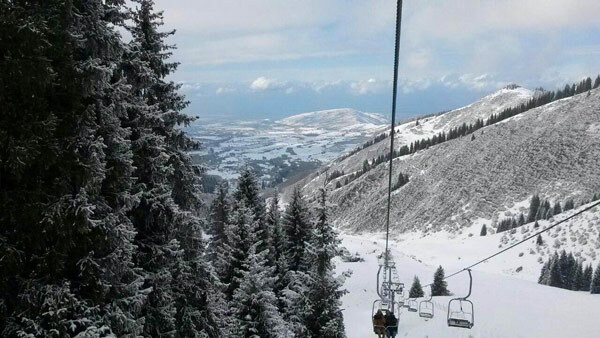 Just this Friday, coinciding with what would be the opening of the Paralympic Games according to Almaty’s plans, 30 cm of fresh snow fell over the Tian Sian mountain range adjacent to Almaty city and site of some key venues. As Almaty’s slogan boasts – that’s “keeping it real!” Well, certainly the snow will be. For the first time in a bid process, Agenda 2020 rules allow for an interactive element during the evaluation – a chance for the bid committee to get constructive feedback and change its plans in real-time. This takes some risk out of cost-cutting if planners are concerned that the IOC might find more frugal plans detrimental. Almaty took the opportunity to propose alternatives and options and gauge which ones were the best fit for all parties. 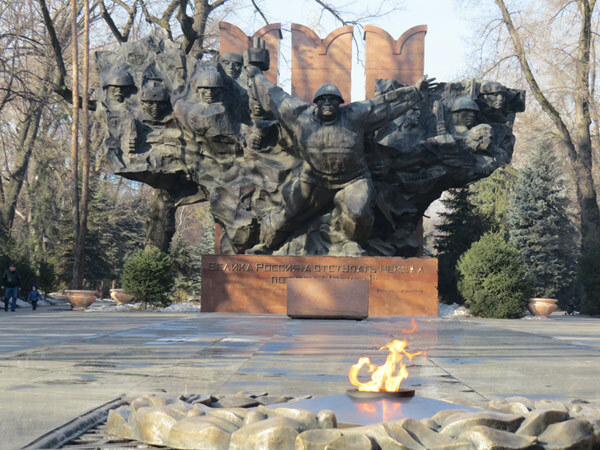 Secondary options provided by Almaty were ultimately embraced by the IOC allowing $550 million of expenditures to be cut from the balance sheet. The elimination of a complete venue, the Shymbulak ski resort, led to a reduction in overlay costs and other support infrastructure that would have been required in the cluster. The shifting of sports to other venues helped accommodate the change without increasing the compact footprint. Almaty was the capital of Kazakhstan until 1997 when that honour was transferred to Astana to the north. Many economic resources were shifted to finance construction and fuel rapid growth in the new capital. The 2011 Asian Winter Games were co-hosted by Astana and Almaty, with Astana given top billing. When you speak to locals in Almaty you’ll easily sense an intense rivalry between the two largest cities in the nation. Now it seems to be Almaty’s turn to grow, and the number of construction cranes marking the skyline are evidence to this. 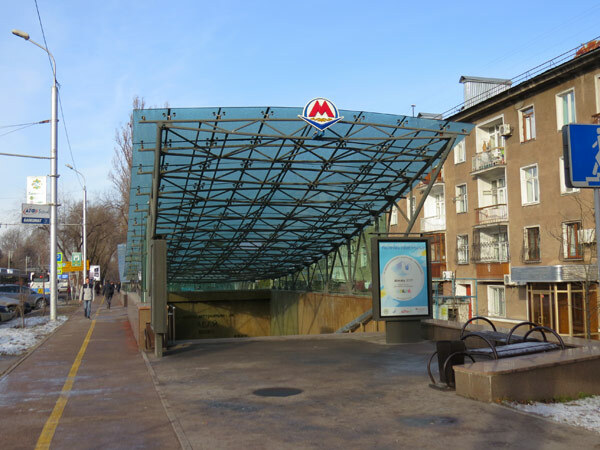 In order to host the Games the city will need to improve transportation infrastructure – most of which is already planned for the Universiade in 2017. Some upgrades to the airport will be needed to handle an increased passenger flow and road upgrades in key areas will help keep traffic moving – especially to the mountain venues. Green technologies and environmental sustainability efforts haven’t been in focus in the past, it seems, but they’re planned for the future, and Kazakhstan has committed to adhere to international standards – especially with respect to vehicle emissions. 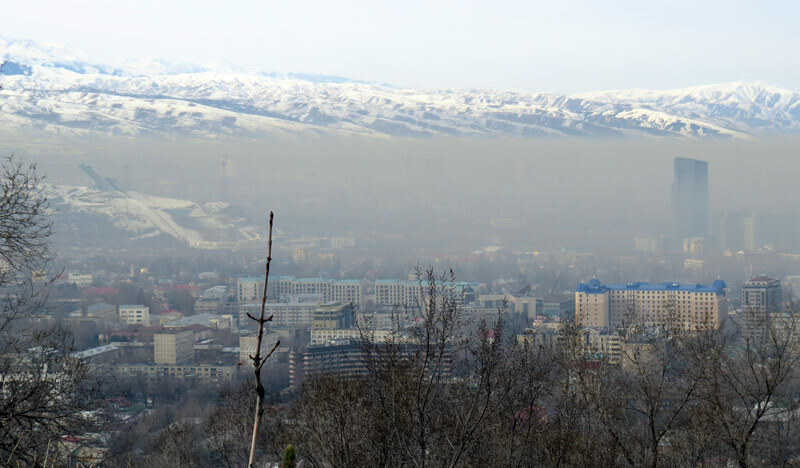 The city’s location at the foot of the mountains in combination with the prevailing winds creates a trap for pollutants, and smog over the city has become common. New measures being proposed will help combat this trend. It may seem silly, and I’m embarrassed to even write about it, but an entire generation of Westerners who are aware of Kazakhstan probably owe their entire perception of the nation to the 2006 movie “Borat: Cultural Learnings of America for Make Benefit Glorious Nation of Kazakhstan.” This isn’t a trivial reference – the American “mockumentary” was both a critical and commercial success around the world and won a prestigious Golden Globe award as well as earning a nomination for an Academy Award. Though it had a limited theatrical release, it was the top overall box office draw in the United States and Canada in each of its two opening weeks, breaking records along the way. While Kazakhstan is prominent in the film’s title and central to its narrative – the story is entirely satirical and has no real connection to the nation at all – which is a shame for the rapidly developing nation that is trying to distance itself from its Soviet roots from which it gained independence in 1991. The film portrays Kazakhstan as an extremely underdeveloped nation with extreme disregard to religious freedoms, human rights and the rule of law. The Kazakh government threatened to sue the movie’s producers and banned the film from being viewed within its borders. The message in the film was so culturally pervasive that it had real-life impacts, some that still exist even today. In 2012, a Kazakh athlete won gold at the International Shooting Grand Prix in Kuwait and while on the podium to accept her medal the organizers mistakenly played the film’s mock Kazakhstan national anthem instead of the real one – and the English-language parody version was filled with insulting and racist lyrics. But many Kazakh’s have handled the situation with some sense of humour. One local journalist in Almaty smiled when I asked about Borat and told me that most people in the country like the film – they think it’s funny and believe it to be more of a parody on the West’s perception of Central Asia. Indeed, some domestic critics and thought leaders applauded the film and believed it put Kazakhstan on the map and created an awareness that would not have otherwise existed. Yet perception is often reality, and although IOC members are smart enough to entirely discount a fictional film, it’s hard to believe that it won’t have some subliminal bearing on their thought processes. Almaty is clearly capable of hosting the Olympic Winter Games in 2022 and not just because the IOC Evaluation Commission used those words to sum up their inspection, but because the city has the experience developing and delivering plans for other sports events – and delivering world class infrastructure to support it. As history shows, the best bids do not always win the often politically motivated IOC elections – in fact, more often they seem to lose. The problem now has nothing to do with corruption in the current process, but to unethical practices used by bids and IOC members late last century that manifested itself in 1998 as the Salt Lake City vote buying scandal. Though gift incentives had been common among bids at the time, 10 members were expelled by the IOC for accepting cash gifts in the form of political donations, tuition payments and other types of funds from the Salt Lake City 2002 bid committee. As part of a major set of reforms put in place to clean up its image, the IOC forbids visits to the bid cities by IOC members for the purposes of evaluating the bids – and any bid-related discussions with the bid committees would be limited to specific planned meetings and prohibited at all other times. Instead, the IOC would rely on its Evaluation Commission to visit the bid cities and schedule review sessions in order to generate a comprehensive report to share with the other IOC members. As a group, IOC members typically see presentations scheduled on the day of the election and at a special technical review a few weeks prior to the vote. Other than that the materials available to voting members consist of the bids’ multi-volume dossiers that span hundreds of tedious pages and the report provided by the evaluation commission which is typically “diplomatic” in nature, often omitting critical details. While waiting to apply for a Visa at the Kazakh consulate in Canada, I spotted a book on an end table with the title “The Misunderstood ‘Stan’.” I picked it up and flipped through a few of the glossy, colourful pages. Besides presenting a picturesque virtual tour of the quickly developing nation, it didn’t really explain what we were supposed to understand about Kazakhstan. Of course, that was the purpose of my visit – to see for myself. But the IOC members won’t have the opportunity to meet the citizens, travel between venues, explore the ice palace or enjoy the mountains. They’ll just have pages of the bid book to scan. Will they continue to misunderstand the ‘stan? That’s the challenge. All IOC members know Beijing well, most have visited during the 2008 Olympic Games. It will be too easy of them to settle for the familiar. Almaty will need a strategy to solve this problem in order to become host of the 2022 Olympic Winter Games. The IOC Evaluation Commission will visit Beijing next week to review the Chinese plans to host the Games. To keep things fair and bid expenses low, the IOC has designed a standard meeting infrastructure and has hired a firm to deliver the same furniture, audio and video equipment to each city. It’s a tactic designed by the IOC to help level the playing field. But without visits by all voting members, the competition is anything but level. 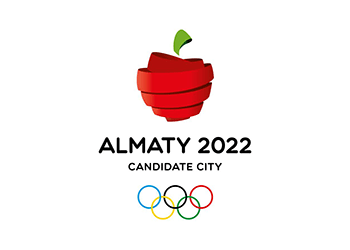 If Almaty is elected host city for the Olympic Winter Games, it will happen because IOC members will have derived the courage and confidence to do so from the reforms they passed unanimously in Monaco last year, and because the Evaluation Commission reports with Agenda 2020 in mind.